#tsql2sday - What did you learn? 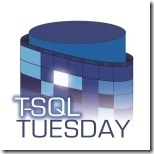 Make sure to comment and link to your post for this month's #TSQL2SDAY installment. I'm really looking forward to seeing what the community has to share, and I'll bet you are, too so check back throughout the day! I'll be posting my own later today...update to come!